Did you know beans make a significant contribution to Nebraska's economy? Nebraska ranks 1st in the nation in Great Northern bean production, 2nd for pinto and light red kidney beans and 3rd for all dry edible bean production. Nebraska produces equal to approximately 1 billion servings of dry beans a year. Cooked dry beans are an excellent source of fiber, potassium and folate. One-fourth cup of cooked beans counts as a one ounce-equivalent in the U.S. Department of Agriculture’s Protein Food Group. Other protein foods include meat, poultry, seafood, dry peas, lentils, eggs, processed soy products, nuts and seeds. As an illustration: 1/2 cup of cooked beans and 2 ounces of cooked meat would both be counted as 2 ounce-equivalents of protein. A 15-ounce can of beans provides about three 1/2-cup servings of beans. One pound of dry edible beans yields about 6 cups of cooked beans. The cost of a 15-ounce can of beans ranges from about 33–67 cents per 1/2-cup serving, depending on whether people buy the store brand instead of the national brand. A half cup of dry beans, cooked from scratch, costs about 17 cents. One type of bean can usually be substituted for another type in recipes. Taste and color may vary slightly. If you’ve avoided cooking dry beans from scratch because “it takes too long,” consider the actual “hands-on” time can be just minutes! All it takes is a little planning ahead for a time to soak the beans and a time to cook them. The following directions, adapted from information provided by the Centers for Disease Control and Prevention and the Nebraska Dry Bean Commission, will help you get started. estinal discomfort. While beans are soaking they are also doubling to tripling in their size. Cooking the beans makes them edible and digestible. To quickly drain beans, cook them in a pot in which a pasta strainer has been placed. Pick through the beans, discarding any discolored or shriveled beans or any foreign matter. Rinse well. Hot Soak or Quick Soak. “Hot soaking” helps dissolve some of the gas-causing substances in beans and most consistently produces tender beans. In a large pot, add 10 cups of water for each pound (2 cups) of dry beans. Heat to boiling; boil for 2–3 minutes. Remove from heat, cover and soak for at least 1 hour (Quick Soak) or up to 4 hours (Hot Soak). Traditional Overnight Soak. This is the easiest method. Place dry beans in a large container; for each pound (2 cups) beans, add 10 cups of cold water. Cover and refrigerate 8 hours or overnight. Drain and rinse beans soaked by either method with fresh, cool water. 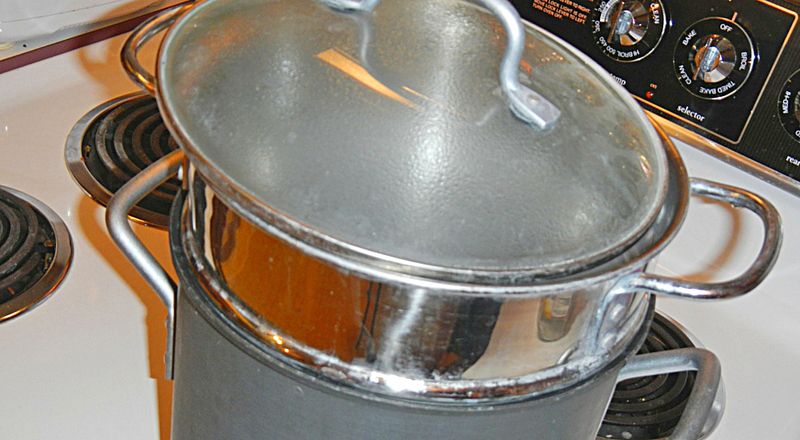 Place beans in a large pot; cover with fresh water and bring to a boil. Reduce heat, cover and simmer gently until beans are tender but firm. Periodically, try a taste test or mash a bean against the side of the pot with a fork or spoon. Check occasionally if you need to add more water. Most beans will cook in 45 minutes to 2 hours. Herbs and spices may be added any time; add salt when beans are tender as it tends to toughen them. Add acidic foods (lemon juice, vinegar, tomatoes, wine, etc.) after beans are cooked as these foods can prevent beans from becoming tender. Refrigerate cooked beans in shallow pans if they are to be eaten later. Freeze any extra beans within 4 days after cooking them.